Sometimes a fragment reveals more than a tome. Karma Nabulsi, a politics professor at Oxford University, introduced me to one such fragment. Did I know, she asked, that Winston Churchill sent the Black and Tans to Palestine? That conversation helped me grasp why Irish people tend to feel a sense of affinity with the Palestinians. Our historical experiences are not identical but they do have striking parallels, which I became eager to explore. This year marks the centenary of the Balfour Declaration. The November 1917 letter to the Zionist movement committed Britain to support the establishment of a “Jewish national home” in Palestine. Through that document, the world’s pre-eminent power gave its backing to a project aimed at colonising with Europeans a land where most of the population was Arab. Arthur James Balfour, then Britain’s foreign secretary and the declaration’s signatory, had previously served as chief secretary of Ireland. He was best known for ordering police to open fire on an 1887 land reform protest in Mitchelstown, County Cork. Resulting in three deaths, the incident earned him the sobriquet Bloody Balfour. Balfour was among many British political figures to leave a deep impression on both Ireland and Palestine. As home secretary in 1916, Herbert Samuel oversaw the internment of almost 2,000 people allegedly involved in the Easter Rising; he also approved Roger Casement’s hanging. Samuel became the first high commissioner of Palestine as Britain took charge of its administration between the two world wars. Faced with unrest in 1921, Samuel ordered air strikes against Palestinian rioters and declared a state of emergency. At that juncture, Churchill, then colonial secretary, advocated that a “picked force of white gendarmerie” be established for Palestine, according to official records. Churchill’s idea was that the gendarmerie should be comprised of men who had served with crown forces during Ireland’s War of Independence. Henry Hugh Tudor, commander of the Auxiliaries in Ireland, had advised Churchill that up to 800 “absolutely reliable men” could be made available from those forces. The Auxiliaries had worked alongside the Black and Tans and the two policing divisions were often regarded as synonymous. The gendarmerie founded at Churchill’s initiative contained members of both. In effect, then, the Black and Tans and the Auxiliaries were assigned to Palestine once their presence in Ireland was no longer deemed necessary. The parallel fascinated me. One of those forces’ most notorious escapades occurred in my hometown - Balbriggan, County Dublin. As revenge for the killing of a police officer by republicans in September 1920, the forces torched a hosiery factory that was a major local employer, as well as destroying and damaging numerous pubs and houses. The “sack” of Balbriggan, as the incident became known, prompted a Westminster debate about whether the crown forces lacked discipline. Britain’s imperial archives show that some diplomats asked if the “Black and Tan tradition” was being followed in Palestine. One briefing document apparently written for the British Army pointed to how many members of the Churchill-initiated gendarmerie had formerly been based in Ireland. “This original composition gave the force a military efficiency, combined with a certain ruthlessness,” the paper added. Officers who had served in Ireland played a prominent role in quelling protests by Palestinians against the expropriation of land where they lived and farmed. Raymond Cafferata, for example, had been part of the Auxiliaries during the Irish War of Independence. In 1933, he headed a contingent of foot police at a Jaffa demonstration which had been banned. A baton charge that he ordered was commended by British administration in Jerusalem for being “magnificently executed” despite how numerous Palestinians were shot dead during the protest. Later in the 1930s, a full-scale Palestinian revolt erupted. Grattan Bushe, a legal adviser to the Colonial Office, warned that “repression by force is repeating the mistake which was made in Ireland”. His warning was ignored; military commanders were assured that they could take “whatever measures are necessary”. The measures were to include demolishing much of Jaffa’s old city, imposing collective punishment on villages with rebels in their midst and mass detention in labour camps. Some of the men behind projects that are still reviled today were originally from Ireland. Around £2 million - a huge sum for the 1930s - was spent on erecting a rampart along Palestine’s northern frontier. It was the brainchild of Charles Tegart, a Derry-born police chief. Tegart was something of an innovator. He recommended that the most sophisticated surveillance technology of that era should be installed in “Tegart’s fence”, as the project was dubbed. The Balfour Declaration’s purpose was to form a “little loyal Jewish Ulster in a sea of potentially hostile Arabism”, according to Ronald Storrs, “the first military governor of Palestine since Pontius Pilate” (his words). Not everything went to plan: the Zionist movement fell out with and, in the case of two groups, waged a campaign of guerilla warfare against Britain in the 1940s. Storrs’ comment nonetheless encapsulates how the British elite viewed their nearest colony and the Middle East through the same lens. On 14 May 1948, British rule in Palestine came to an end; Israel declared itself a state that same day. The transition was marked in a low-key ceremony at which Alan Cunningham, the last British high commissioner in Jerusalem, inspected a colour party. Cunningham had been in charge during the mass expulsion of Palestinians by Zionist forces, an episode called the Nakba or catastrophe. The British authorities chose not to intervene. The Palestinian flag is being flown over Dublin’s City Hall this month in solidarity with the Nakba’s victims. That is grimly appropriate. Alan Cunningham was born in Dublin. •First published by The Irish Times, 19 May 2017. For the first time, I have been flattered by a pro-Israel lobbyist. Toby Greene, the lobbyist in question, emailed me a few days ago, seeking help with a project he is conducting for Hebrew University of Jerusalem. “Given your knowledge of Israeli-Palestinian issues and EU politics, your insights would be invaluable for my research,” he wrote. The flattery proved fruitless. I promptly told Greene that I supported the Palestinian call for an academic boycott of Israel. Before I could entertain his request, I would need clarity about who he represented. I don’t buy that explanation and have refused to help Greene’s project – which apparently relates to how Israel is viewed by Europe’s political elites. Greene is a lobbyist masquerading as an analyst. Apart from holding a post at Hebrew University, he works for a propaganda outfit called the Britain Israel Communications and Research Centre (BICOM). He has previously been a staff member with Labour Friends of Israel. That pressure group – embedded in one of Britain’s largest political parties – coordinates its activities with the Israeli government, as a recent Al Jazeera documentary illustrated. Greene inferred that his sponsors at the Israel Institute cherish academic freedom. Is that really the case? The institute was established in 2012 by Itamar Rabinovich, a former Israeli diplomat, and is funded by the Charles and Lynn Schusterman Family Foundation. That is anathema to the whole concept of academic freedom. Truly independent academics are focused on the production of knowledge, not on the “strengthening” of states or disseminating propaganda to further their political agendas. I could not find any criticisms of Zionism on its website. But I did find publications which were fundamentally dishonest. One of them claimed Israel had made “notable efforts to avoid civilian casualties” during its major offensive against Gaza in 2014. Israel killed almost 1,500 civilians – including more than 550 children – in that offensive. That means around one in every 1,000 residents of Gaza was killed. How can that be construed as a notable effort to avoid civilian casualties? Toby Greene has told a similar lie. In 2014, he spoke of Israel’s “desire to avoid civilian casualties” while bombing Gaza. He then had the impudence to scold Jon Snow from the broadcaster Channel 4, one of the few British journalists willing to challenge Israeli spin doctors. Accurately describing the effects of Israel’s attacks on children – as Snow did three years ago – meant he had “abandoned all pretense at objectivity,” Greene wrote. Greene has a long record of downplaying crimes by both Israel and Britain. That proposal echoed an argument by George W. Bush, then US president, in 2004 that it would be “unrealistic” for Israel to fully withdraw from the West Bank. By making that comment, Bush signaled that he would tolerate Israel’s settlement activities, despite how they violated international law. Greene is also an apologist for Tony Blair. When an official British enquiry issued a damning verdict last year on Blair’s determination to join the 2003 invasion of Iraq, Greene wrote a lengthy article that was highly sympathetic to the former prime minister. To Greene, Blair’s only “sin” was “hubris: an overinflated misperception of his ability to shape international politics.” Causing hundreds of thousands to die and destroying an entire country are more grievous sins than hubris – though not, it would appear, in Greene’s mind. Greene is still lying in the service of Israel. He recently alleged that an event held as part of a campaign to make Britain apologize for supporting Zionist colonization in Palestine was characterized by “anti-Semitic bluster.” A parliamentary investigation into the same event, which was held at Westminster, found no evidence to support the accusations of anti-Semitism made by the Israeli government and its surrogates. 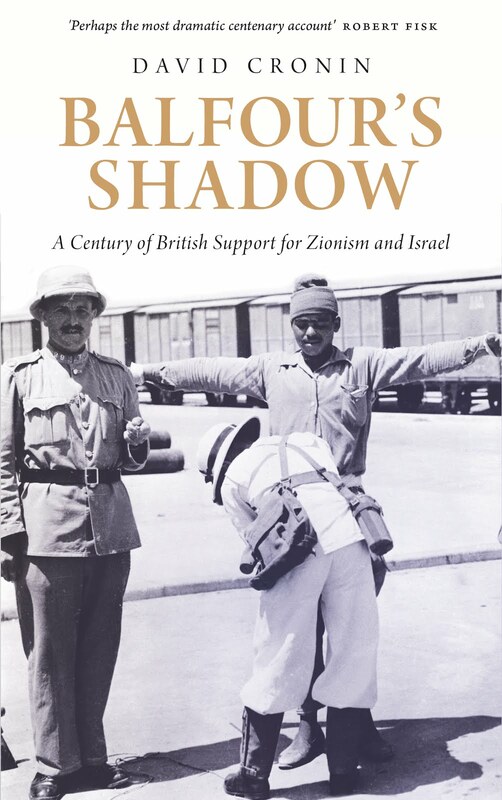 Greene has written a book about the British Labour Party and Palestine. It is a 298-page fan letter to Blair disguised as sober analysis. The note is perhaps the most instructive thing about the book. Greene has implicitly admitted that he is a flexible flunky. He is a scholar who shills for Israel. •First published by The Electronic Intifada, 18 May 2017. Rogues can buy respectability – or a semblance of it. The cigarette industry provides a textbook example of how to exert pressure by stealth. Knowing that its public image is toxic, it funds various front groups to cajole the powerful. The European Policy Centre is one such group. It was established in the 1990s by the late Stanley Crossick, a consultant for British American Tobacco. Before long, Crossick’s outfit was styling itself as one of the leading “think tanks” in Brussels, deftly pushing an agenda favored by big corporations. Political and business representatives continue to mingle at its invitation-only events today; the cigarette industry remains an important, if discreet, sponsor. Has the European Policy Centre now offered its services to the Israel lobby? One of the contributors to the center’s budget is the European Leadership Network. That insipidly-named organization is dedicated to strengthening relations between Israel and the European Union. Despite claiming to support the “pursuit of peace,” the European Leadership Network is headed by a hawk. Larry Hochberg, the hawk in question, has previously chaired Friends of the IDF, which finances recruits to the Israeli military. Gauging whether the European Policy Centre enjoys any real autonomy is hampered by the secretive activities with which it is involved. “Experts” from the center have been participating in a “strategic dialogue” that the European Leadership Network initiated in 2010. Each session of the “dialogue” takes place in a “private and secluded venue,” according to its official website. One member of the team behind this “dialogue” is Michael Herzog, a retired brigadier-general in the Israeli military. Herzog has been indicted under Spain’s “universal jurisdiction” law in relation to a 2002 bombing attack on a residential area of Gaza. The scarce information available about the “dialogue” does not suggest that it encourages intellectual freedom. A paper based on the “dialogue” and published by the European Policy Centre contends that Benjamin Netanyahu, the Israeli prime minister, “must strike a difficult yet indispensable balance” between calls made by parties in his ruling coalition and those of his “diplomatic partners” abroad. Those are weasel words. The Netanyahu-led government includes ministers who have urged that most of the West Bank be annexed, that Palestinians living inside Israel be expelled and that Gaza’s women be exterminated. The “balance” advocated by the European Policy Centre would mean appeasing such gangsters. The European Leadership Network is less than transparent about its activities, too. According to details supplied to a register for lobbyists who interact with the EU institutions, the “network” only began “regular activities” in Brussels during 2016. Yet documents filed with the US authorities state that the network’s Brussels office had been receiving grants from across the Atlantic for a number of years before then. In 2014, for example, it was given almost $500,000 by a “friends of” group registered in Larry Hochberg’s name, using an address in Illinois. That “friends of” group was led at one stage by Mark Moskowitz, another pro-Israel lobbyist. Both Hochberg and Moskowitz have formerly worked for the American Israel Public Affairs Committee, widely regarded as one of Washington’s most influential pressure groups. Moskowitz is now a vice-president for “global philanthropy” with the Jewish Agency, a body working directly for the Israeli state. The “friends of” group was established in 2011, after it was given almost $4 million in assets from StandWithUs, a lobby outfit partly financed by Israel and with close ties to the Islamophobia industry in North America. Roz Rothstein, the CEO of StandWithUs, has also helped run the European Leadership Network, according to documents filed with the Belgian authorities. I asked Ines von Behr, Brussels director with the European Leadership Network, if her office receives funding from the Israeli government. I also enquired if the “network” coordinates its activities with the pro-Israel lobby in Washington. “We are not replying to any media questions at this point,” von Behr told me. Her reticence is not surprising. The European Leadership Network appears to be a fan club for Israeli aggression masquerading as a forum for debate and analysis. Using sneaky tactics, it is trying to confer respectability on a rogue state. •First published by The Electronic Intifada, 11 May 2017.